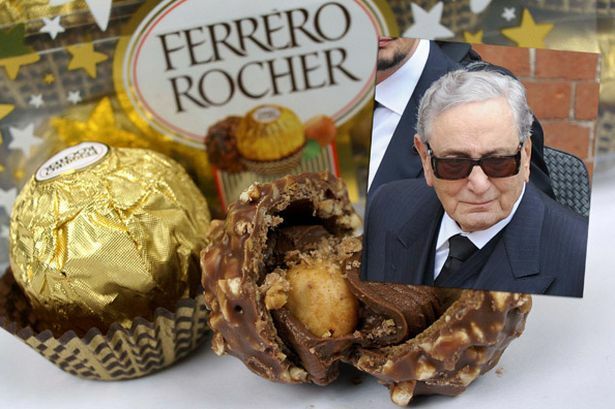 Michele Ferrero (89), Italy’s chocolate king, died. He took over the family’s hazelnut-chocolate business after his father died in 1949 and soon added vegetable oil to make it spreadable. In 1964 he invented the name Nutella and in 1983 took it to America. Ferrero Group products also include Kinder, Ferrero Rocher and Tic-Tac. Michele's father Pietro got his start during World War II in northern Italy, where he set up a lab to supply his wife's pastry shop. Faced with rationed cocoa, he used the region's plentiful hazelnuts to create a spread that would eventually become Nutella. In 1949 Pietro died, briefly leaving the company in his brother's hands before son Michele took over. Starting in 1957, Michele aggressively targeted overseas markets while developing new brands and products. The following decades saw Ferrero grow across Europe, South America, Asia, and Australia, while he focused on new products such as the Ferrero Rocher hazelnut chocolates.